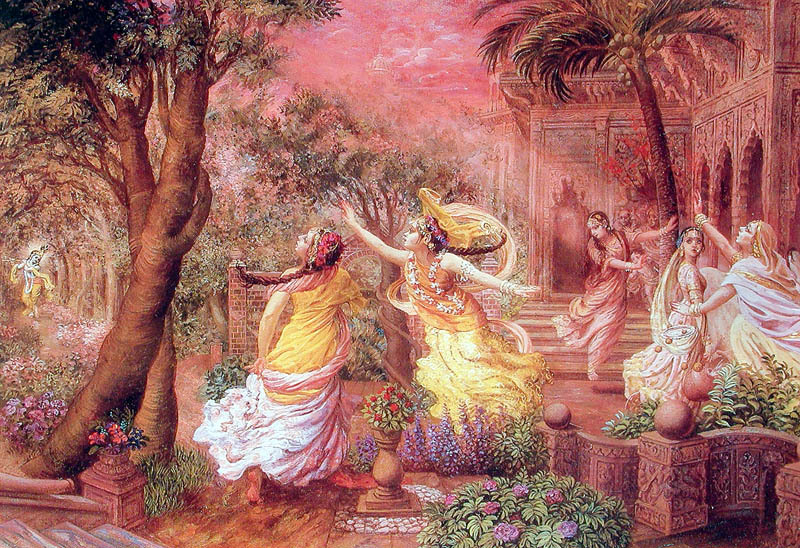 …It is to be understood that when Śrī Caitanya Mahāprabhu chanted and danced, He did so by the influence of the pleasure potency of the spiritual world. Śrī Caitanya Mahāprabhu never considered the holy name of the Lord to be a material vibration, nor does any pure devotee mistake the chanting of the Hare Kṛṣṇa mantra to be a material musical manifestation. 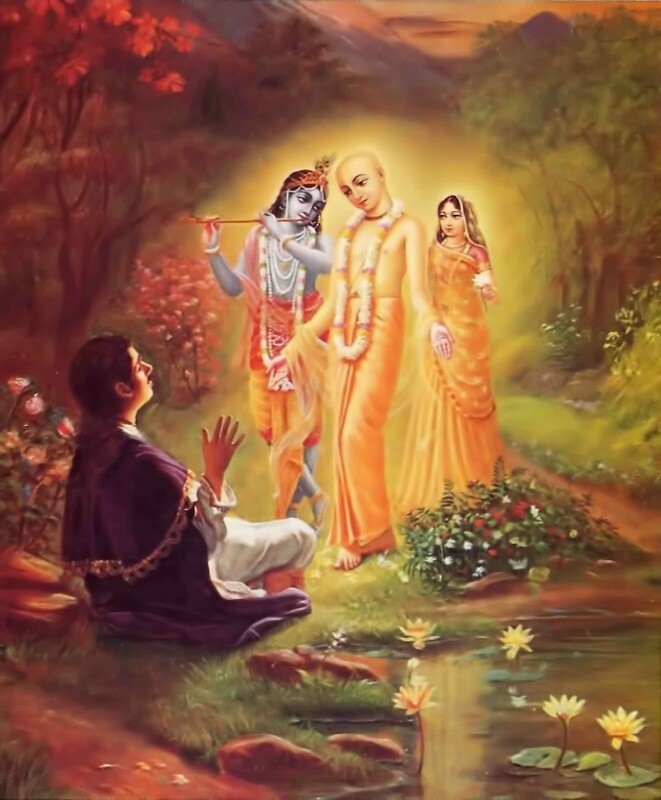 Lord Caitanya never tried to be the master of the holy name; rather He taught us how to be servants of the holy name…I firmly believe that simply chanting the holy name of the Lord can remove all misconceptions of the material world. 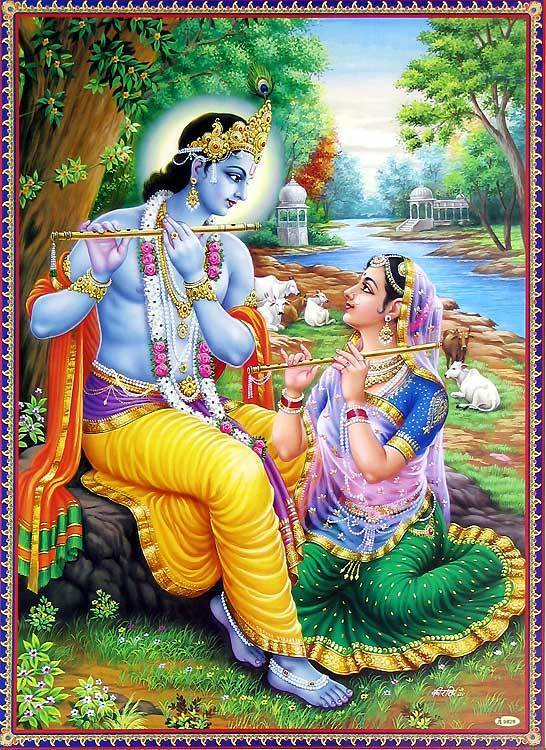 I believe that simply by chanting the holy name of the Lord one can attain the shelter of the lotus feet of the Lord. In this age of quarrel and disagreement, the chanting of the holy names is the only way to liberation from the material clutches. “Only unto those great souls who have implicit faith in both the Lord and the spiritual master are all the imports of Vedic knowledge automatically revealed.” This Vedic injunction is very important, and Śrī Caitanya Mahāprabhu supported it by His personal behavior. 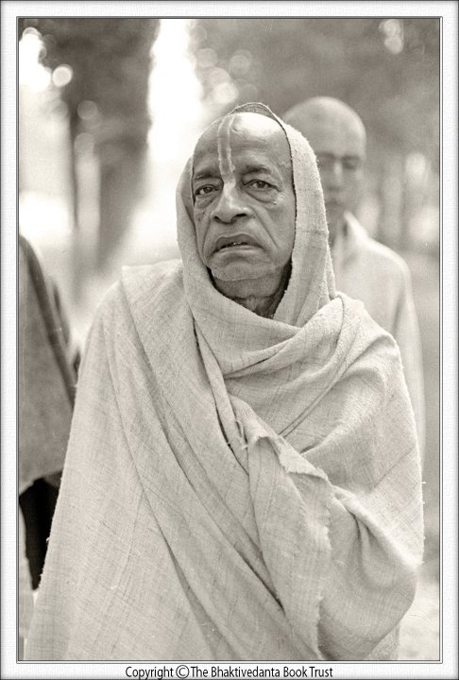 Believing in the words of His spiritual master, He introduced the saṅkīrtana movement, just as the present Kṛṣṇa consciousness movement was started with belief in the words of our spiritual master. He wanted to preach, we believed in his words and tried somehow or other to fulfill them, and now this movement has become successful all over the world. Therefore faith in the words of the spiritual master and in the Supreme Personality of Godhead is the secret of success. 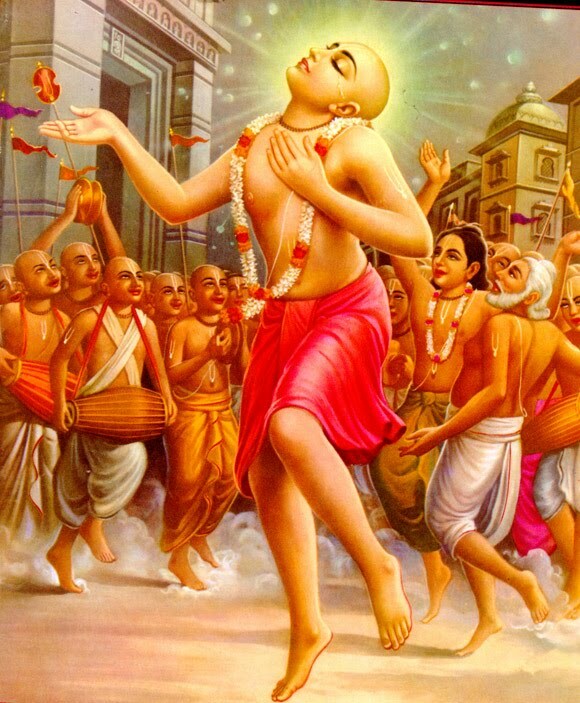 Śrī Caitanya Mahāprabhu never disobeyed the orders of His spiritual master and stopped propagating the saṅkīrtana movement. 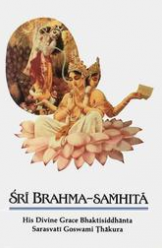 Śrī Bhaktisiddhānta Sarasvatī Gosvāmī, at the time of his passing away, ordered all his disciples to work conjointly to preach the mission of Caitanya Mahāprabhu all over the world. Later, however, some self-interested, foolish disciples disobeyed his orders. Each one of them wanted to become head of the mission, and they fought in the courts, neglecting the order of the spiritual master, and the entire mission was defeated. We are not proud of this; however, the truth must be explained. We believed in the words of our spiritual master and started in a humble way-in a helpless way-but due to the spiritual force of the order of the supreme authority, this movement has become successful. This is a verse from Jayadeva Gosvāmī’s Gīta-govinda (1.11).